Magento Go Migration Service by Cart2Cart provides with fast, accurate and secure migration from a number of major shopping carts to Magento Go. You can move your products, customers, orders and other data to your brand new store automatically. 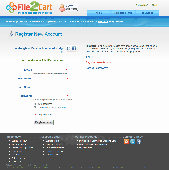 Magento Import Service File2Cart is a tool that provides the import of products with product categories and information from .csv, .xml or .txt files to Magento shopping cart. The Out-of-Stock Notification is a Magento extension which allows the store owners to show a message for the Out-of-stock products,indicating the user to request for notification mail once the product is updated in the stock inventory. Magento is a feature-rich, professional open-source e-commerce solution that offers merchants complete flexibility and control over the look, content, and functionality of their online store. It can be deployed using a native installer, as a virtual machine, in the cloud or as a module over an already installed infrastructure stack. BitNami Magento Stack Native Installer is an easy-to-install distribution of the Magento application. 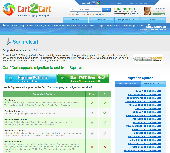 Squirrelcart Migration Service by Cart2Cart provides with fast, accurate and secure migration from a number of major shopping carts to Squirrelcart. You can move your products, customers, orders and other data to your brand new store automatically. The Windows Webserver was developed for testing PHP and CGI programs under Windows, without installing an Apache or IIS environment.